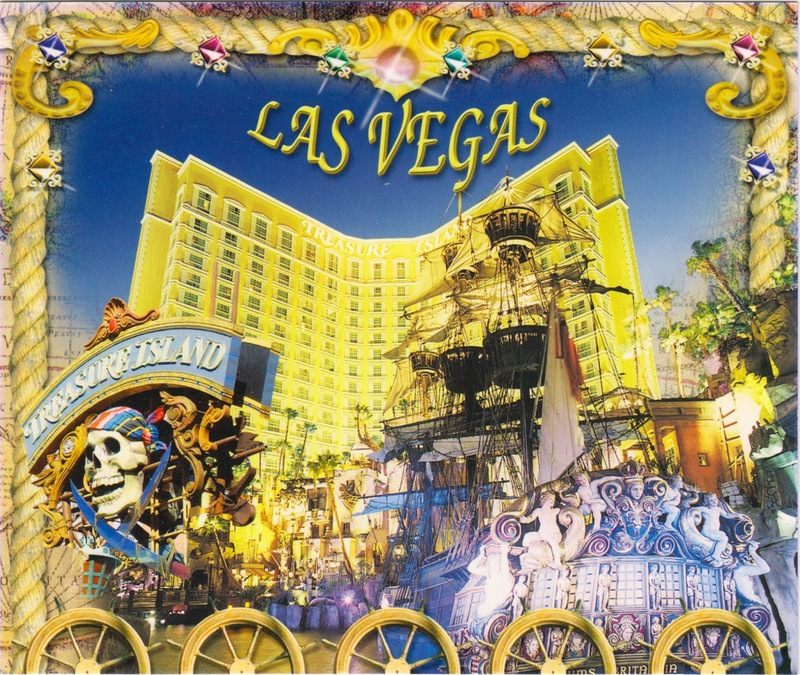 Outgoing postcard US-2651118 to Lithuania shows the Treasure Island Hotel and Casino with its iconic pirate ships. The long-running pirate show “Sirens of TI” show was closed on October 21, 2013 as noted in my previous blog. However, rather than a temporary closure as it was originally announced, The show had been permanently canceled. According to a Las Vegas Review Journal article, it caught the cast and crew members by surprised. We will certainly miss the show. Good luck to all the cast and crew members. You can still watch the show on Youtube.